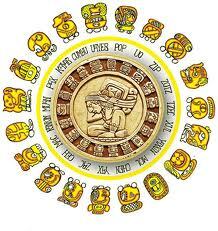 Mayan zodiac signs or astrology which has its basis on Mayan calendar generates your Mayan horoscope reading. This includes day number and day sign that represents your personality attributes. Mayan Astrology Predictions For 2016! Mayan civilization has been around for more than 1000 years. The traditional Maya realized the importance of time in ways that was completely different from other existing cultures. Maya astrology is a type of Mesoamerican astrology or zodiac system that was probably the most accurate type of zodiac at that time. Mayan Calendar has two hundred sixty days. 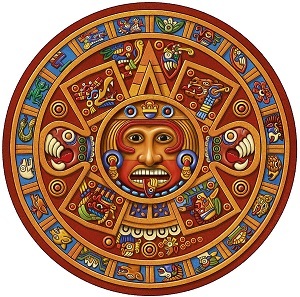 The Maya-Aztec calendar was referred to as Tzolk'in and comprised of twenty day signs and 13 day numbers. The Mayans recognized the truth that time is not simple but it's really a number of recurring cycles. The second cycle starts at the conclusion of the first cycle and so on. This is exactly what brought to the introduction of Mayan zodiac in line with the understanding of Maya Calendar. This form of astrology is one of the most accurate kinds of zodiac predictions. The astrology symbols or God Signs are understood world-wide. The zodiac signs of the Mayan Zodiac are the following: Imix, Ik, Akbal, Kan, Chicchan, Cimi, Manik, Lamat, Men, Chuen, Muluc, Oc, Eb, Ix, Ben, Cib, Ahau, Caban, Etznab, Cauac. This can be translated to English as Crocodile, Wind, Evening, Seed, Serpent, Transformer, Deer, Star, Offering, Dog, Monkey, Road, Reed, Jaguar, Bald Eagle, Knowledge, Earth, Flint, Storm and Sun. Maya horoscope was known for its precision of calculations. This form of astrology predictions was used as a basis for other astrology systems to evolve. Depending on the astrology sign in which you are born, you are said to have characteristics of the animal sign representing you. Get your current Mayan horoscope readings for 2016, 2017 and coming years right now!